Welcome to Coldshield traffic doorway solutions. 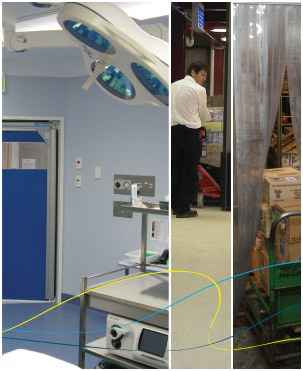 Coldshield has a full range of Traffic Doors and PVC Strip Curtain Systems including doorway protection. The range also includes Electric Air Curtains and Insect Control Devices. If you require cost effective solutions for energy loss and hygiene control, contact Coldshield today to discuss the products and options that will help you achieve the outcomes you are expecting. Free call 1800 46 2233. View our Product Range online Coldshield is sure to have a solution to suit any budget from a simple strip curtain to a full fit out of your barrier and door requirements. We look forward to the opportunity to prove our service and products.